This is very interesting. Is there any way we could get a copy of the code and some details as to how this is implemented in Jasper? Nice read, I just passed this onto a colleague who was doing a little research on that. And he actually bought me lunch because I found it for him smile So let me rephrase that: Thanks for lunch! “Without friends no one would choose to live, though he had all other goods.” by Aristotle. 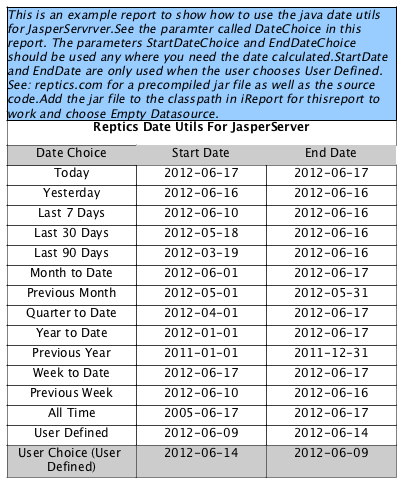 Good stuff I’ve bookmarked this in Digg under “Reptics » Blog Archive » Dynamic Dates For JasperServer”. Cheers! This is exactly what I need, but I’m not sure where the jsp code goes. (Sorry, I’m a newbie) Can you provide additional guidance on where the code goes? it works great in ireports, but i cant get it work in jasperserver. i see no input controls in the report. i think i have to set the jar file on the right position on the server, but where? Drop the jar in jasperserver/WEB_INF/lib directory and restart jasper. You need to add the jar file to the lib dir in jasperserver. This is great, thanks. However, could you please provide a link to the .jar file ? and to the .java file ? Looks really interesting but link is broken. Can you please fix this ? The link is fixed , please give it a try. Is it possible to have the source files or the jar? Should be all set now, I opened it back up. Sorry about that. Do you have the JRXML file for this example? This looks really interesting. Can you give some instructions on how to make this work on JasperReports Server, esp. for a scheduled report? 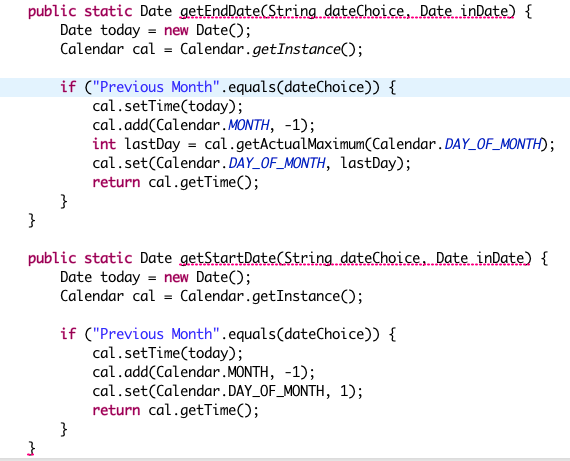 I have defined the input controls and they get initially populated with their defined default values, yet (a) the report shows empty and (b) when selecting another entry in the DateChoice combo, the other Input Controls don’t reflect the new selection. You need to drop the jar file into the servers lib directory. Then follow the instructions in the article for adding parameters. You need all of them to get it working in a report. Ping me back if you need a bit more help. Try making it work in iReport first to rule any issue with the server. I will try it out tonight on the newest server to make sure it works. 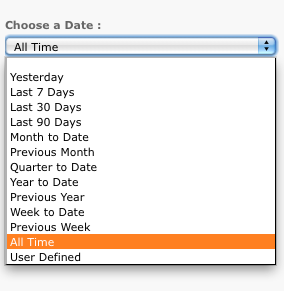 However, when changing the DateChoice selection the StartDateChoice and EndDateChoice do not update. The report is empty.” in the back. Are you able to replicate this? My Jasper instance stopped working on my mac. If I get a chance to install a new one I will look at this. If you have a instance I can test on please send along the info. I fixed the report it should work now out of the box with JasperStudio 6.2. This entry was posted on Sunday, June 17th, 2012 at 12:27 am and is filed under JasperServer. You can follow any responses to this entry through the RSS 2.0 feed. You can leave a response, or trackback from your own site.